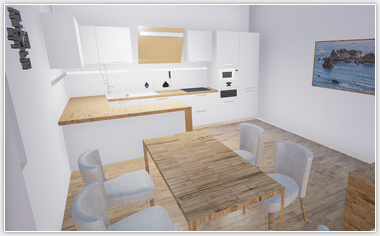 In this project we developed novel methods for automated geometry creation from the floorplan of a building and automatic interior design by furniture and material placement. Moreover, we investigated methods for immersive VR exploration and intuitive interaction. The methods investigated in this project enable the automated generation of VR walkthroughs from the floorplan of a building with minimal user intervention within only a few minutes. Additionally, the developed methods enable a reconfiguration of interior design in real-time. We implemented our methods in Unreal Engine 4 which enables the generated virtual walkthroughs to feature high-quality rendering, dynamic lighting (for variable daytime simulation), real walking, and advanced interaction to provide immersive and outstanding user experience. This project also addresses open topics in state-of-the-art virtual exploration and interaction with generated 3D environments. Collada Engine is package of libraries for loading and rendering digital content saved in collada document files. Libraries support loading geometry, nodes, transformations, textures etc. from .dae files. 3D content is rendered with use of OpenGL. Libraries support also shader loading, compiling and using in rendering. Libraries can be downloaded from this link or from project website. Libraries are created in Borland Developer Studio and need it for proper function. Basic component needed for 3D model loading is TXMLDocument component from Borland Developer Studio. 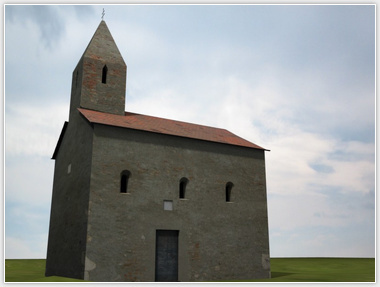 The 3D model of small church in Dražovce was created in this project. It contains the pictures of rendered 3D model and panoramas from outside of the church. In the project website the vrml model can be downloaded. The rendered images of the 3D model can be compared with the real photos. 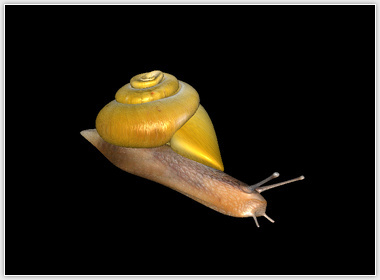 The Blender application was used to create the 3D model and render the images. Textures were created from photographs. The Gimp tool was used to edit the photos. Project is about the visualization of the Slovak National Theatre. The high-resolution 3D Model of theatre was created in Blender tool. The 3D model can be downloaded from the project website. Also the render images can be seen and compared with the real photographs. 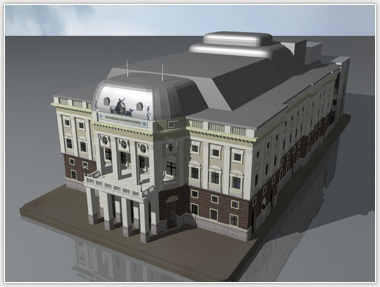 Moreover the project contains the panoramas from the Hviezdoslavovo square near the SND building. 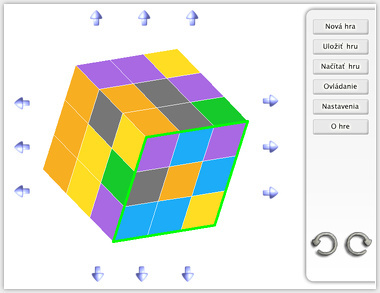 Program visualizes the virtual Rubik cube, which can be solved by the user. Application contains easy graphic user interface. The Rubik cube can be rotated in the space. The game can be saved and continued on the other time. Download the virtual Rubik cube. This project contains two computer graphics oriented Java applets. The first one is a demonstration of the L-system and the second one draws the Bezier curve. 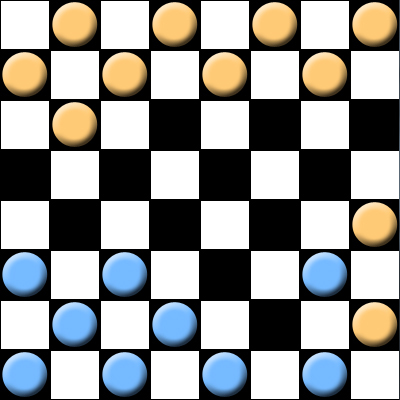 Applet L-system visualize the L-system based on a rule. User can set this rule and angle of rotation after iteration. 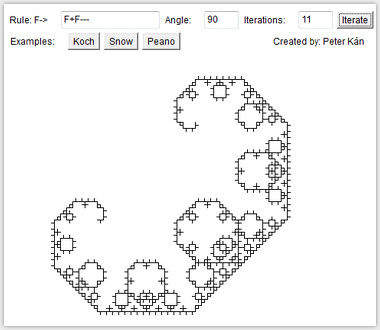 Applet contains also some examples of l-systems. In the Bezier curve applet the curve is rendered and can be modified. The control vertices can be added. The vertices can move and modify the curve shape. With the right mouse click the Bezier curve will be deleted and vertices can be added again. 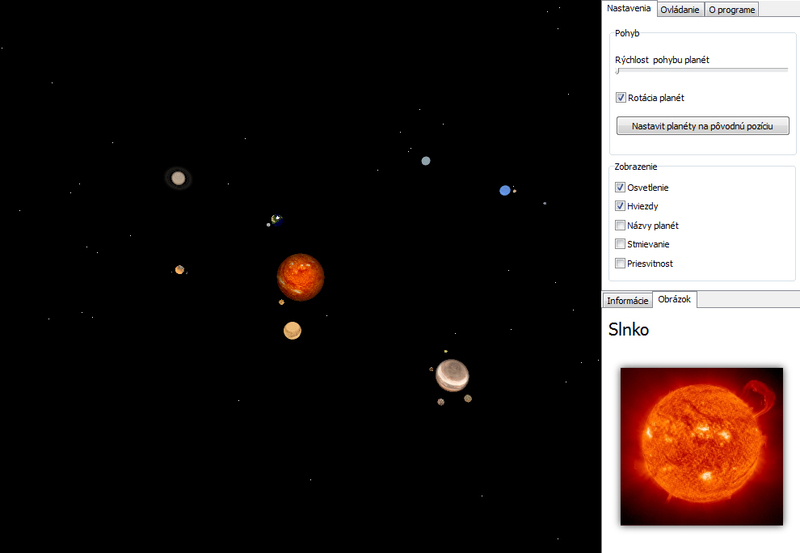 The program visualizes the planets of our solar system in 3D view and it simulates their movement. Each planet has the information about itself with picture. The virtual solar system can be moved in the spherical coordinates. 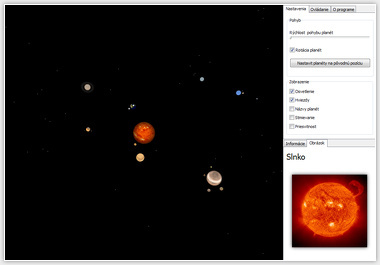 Download the virtual solar system. 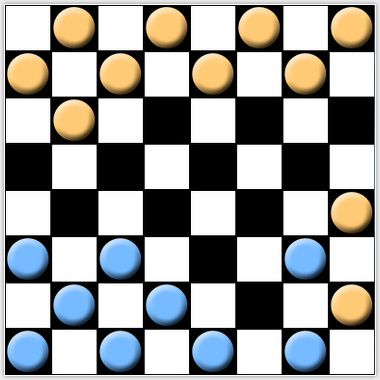 It is the desk game for two players. This program was created as a semestral project. The game can be saved and continued on the other time. Program can evaluate priority of kick out and it don't allow the other moves.